Elementals not too long ago released their latest album, Mother Nature and Her Bipolar Tendencies. It’s definitely an album worth checking out. The band has gone through a few line-up changes recently, adding another guitarist/vocalist, but the sound has maintained the same quality all the way through. It’s a hard rock, alternative sound with plenty of soft-loud dynamics thrown in. Elementals can be angry; they can be soft. Great guitar, great drums and rhythm, and excellent vocals. There’s a lot of screaming, but it’s balanced well; it never feels like too much. The screaming always comes at the right time, just to bump the song to that next level. You can imagine how this song must play out live. Surely everyone is very civil and everyone stands in a circle not pushing each other in any way whatsoever. Surely. 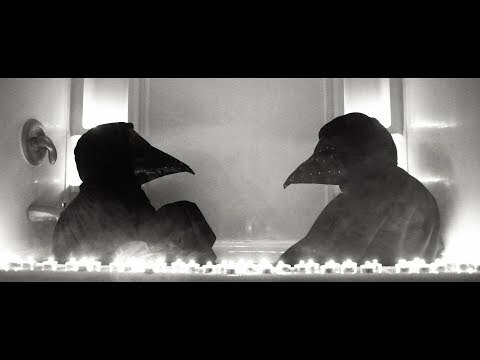 The video for “Angel Static,” the second song off Mother Nature and Her Bipolar Tendencies, follows a day-in-the-life of two cloaked anonymous people, cut off from each other by wearing those masks doctors wore during the plague in the Middle Ages. It’s an eerie, melancholy, and violent tone, and pretty well matches the music perfectly. The song features haunting guitar lines, that feel nostalgic in some way, and a ferocious drumbeat that builds through the whole thing. It’s a very good time.